For many of us, pets are considered vital members of our families. As people put off having children until later in life, or forgo child-rearing altogether, our animal companions can fill roles traditionally reserved for kids. We spend billions of dollars on their care and well-being every year, we sleep with our cats, and we even send our dogs to daycare. Pets are often much more than simple possessions. Custody battles involving children can be hotly contested and fraught with emotion. More and more in recent years, so have fights over who gets pet custody in a divorce. There are all kinds of factors and legal precedents to take into account when deciding who gets guardianship of the kids. Dealing with pets, though it can involve many of the same emotions, is a whole other story.You may look at your dogs, cats, and other animal companions in the way you would look at furry, four-legged children. That, however, is not how the courts see them. Legally speaking, pets are property. On paper, they’re no different from a couch, table, lamp, or other assets to be divided in a separation. As pet custody battles become an increasingly common occurrence in divorce, and as animal companions continue to play essential roles in our lives, their legal status is changing by degrees. It is, however, a gradual process, and there is a great deal to consider. A recent court case in Georgia is a prime illustration of the divide between how pet owners relate to their animals and how the law views them. A couple went on vacation, and their 8-year-old dachshund, Lola, became ill and died as the result of the boarding facility where they left her mishandling her medication. The parents spent tens-of-thousands of dollars on vet bills, but were ultimately unable to save Lola’s life. As the case is about to go to the state supreme court, the issue is not who is at fault for the death, but how much the dog was worth and whether or not the owners should be compensated for their medical expenses and pain and suffering. The discrepancy is in how the parents viewed the dog and how the law saw her. Lola had significant worth to her owners, one that went well beyond money, while the lower courts assigned her a “market value.” As you might imagine, for an 8-year-old rescue dog, that figure was not large. The issue at hand is what dollar amount the companionship of an animal is actually worth? In the past, courts have occasionally awarded settlements in similar cases for the emotional loss suffered by pet owners. A few states, including Tennessee, have even now passed legislation that can bestow a significant monetary settlement for the loss of friendship and affection of companion animals. 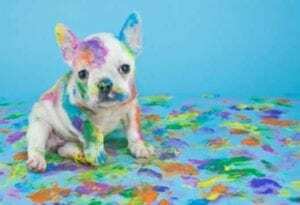 It’s an interesting topic that will only continue to occur and evolve over time, and this case may have an impact on pet custody moving forward. Many courts recognize the value, meaning, and emotion pet owners ascribe to their animals. Issues arise, however, due to their legal status as property, and in cases of divorce and separation, they tend to be distributed as such. This varies a great deal judge to judge and court to court, but you can never be 100% sure where sympathies lie. That said, there are a number of factors that may be considered when deciding who gets the dog, cat, or other furry members of your family. One key element is, who acquired the pet in the first place. If there is a purchase agreement, or, in the case of rescue animals, an adoption certificate, that may be taken into account. This can get muddy, however, as couples, married or otherwise, often buy or adopt pets as a unit. The issue of who is the primary caregiver may also be used to determine pet custody. This includes things like who feeds and walks the dog, who takes the cat to the vet and covers the costs, who registered any applicable licenses and microchips, and who generally sees to the day-to-day necessities of the animals. Again, this can become muddled if both parties are equal participants. That’s obviously great for the animal, but it makes things hazier from a legal standpoint. Courts may also take into account the best interest of pets. In this regard, rulings in cases of pet custody may parallel those involving actual children. If, in the court’s view, it’s clear that one parent or the other is the better provider, or that the health and safety of the animal is in question, they may award guardianship based on those considerations. With the enormous emotional importance we often give our animal companions, the issue of pet custody may be a critical topic in your divorce. While their legal standing may be fluid and variable, there are ways you can protect your interests. One way to ensure that you retain custody of your pet in the case of a divorce may be to enter into a premarital agreement. You can draft an accord specifying who gets the pets in the event of a split. This is easier in the case of pre-existing pet ownership. But even if you and your spouse adopt a dog or cat or bird together, you can still hash out an arrangement for where the animal goes should your relationship take a nosedive. This may not always be legally binding in the strictest sense, but the court may take it into consideration when dividing assets. You can also enter into mediation or arbitration, where you may be able to more fully present your case to retain pet custody than in standard divorce proceedings. Perhaps, in the process, you may be willing to concede certain points to your ex in exchange for the animal in question. It’s also possible to work out some type of informal shared custody arrangement, with visitation rights and weekend overnights, much like for a real child. Mediation does ultimately require both parties to agree on the settlement, so if your soon-to-be ex is not open to negotiation, you may find yourself engaged in an uphill battle. The area of pet custody, in a legal sense, is one that may not always match up with current social standards. Though many of us look at our animal companions as so much more than just things, from the standpoint of the law, they are property, and subject to the same regulations in many cases. This field is evolving and catching up, however. A few states have passed legislation to distinguish pets from other assets, and to protect their rights. 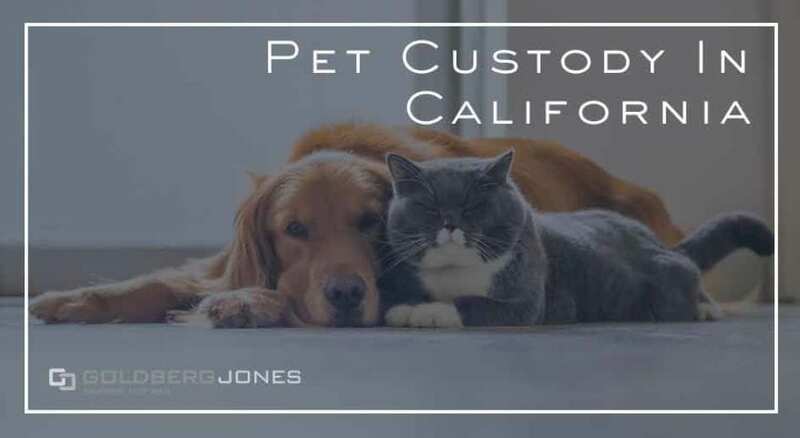 Due to the frequency with which this topic comes up, many attorneys have found creative ways to argue the emotional value of companion animals and to deal with pet custody. Even as things change, if you are someone who forms a tight bond with your pets, you may want to take the time and effort to protect your guardianship. Establishing your position about where they truly belong as concretely as possible may serve you well in the end.